7 days and counting… until the new 2011 Spring/Summer lia sophia catalog is available! Looking for that piece that adds a sophisticated flair for your work day, but you can also rock at night? This may be your section. 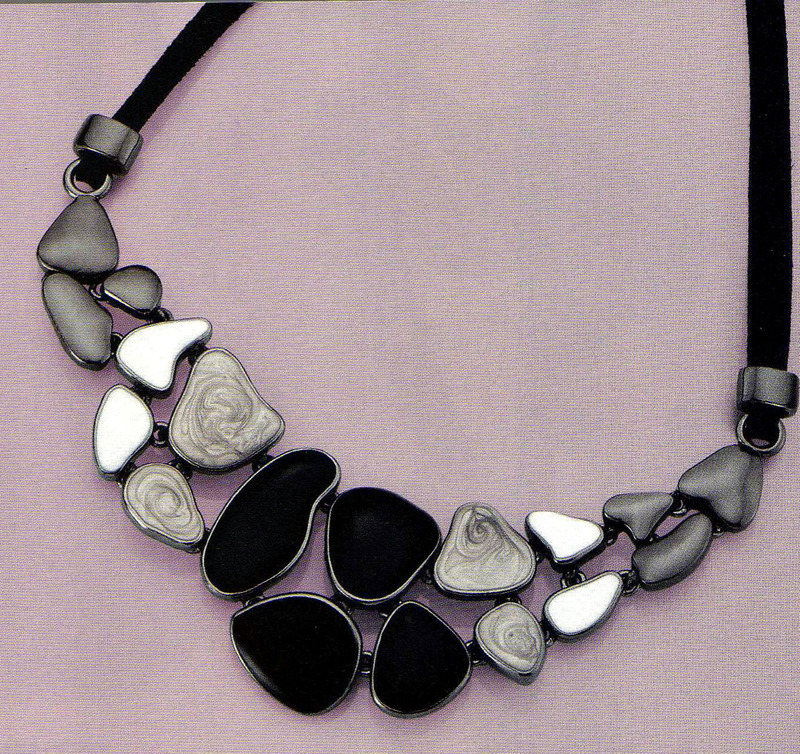 A smooth mosaic of black, gray and white in free form set against a hematite finish brings the city and nature into beautiful harmony in this bib necklace. 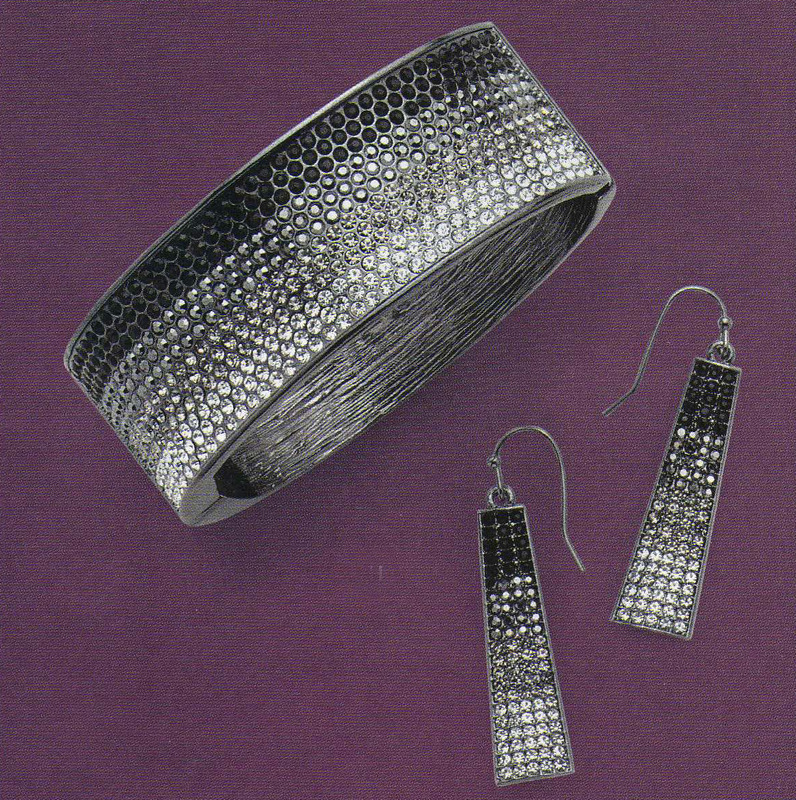 Cut crystals fade from jet to clear in this gorgeous bangle and earrings set. If you’re looking for modern glamor sure to shimmer, this is an excellent choice. Hematite and white enamel combine to create this modern, sophisticated set great for both the power suit and the little black dress.